Every mom deserves a little rest and relaxation! 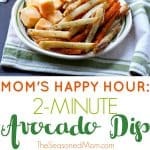 With a glass of wine, a 2-Minute Avocado Dip, and some grown-up snacks, this is Mom’s Ultimate Happy Hour! Ladies!!! Are you in need of a little time out right now? The end-of-school craziness, summer vacation planning, holiday potlucks and picnics…it’s all a bit much, no? If you’re like me, sometimes you just need a few minutes to sit down and take a deep breath. 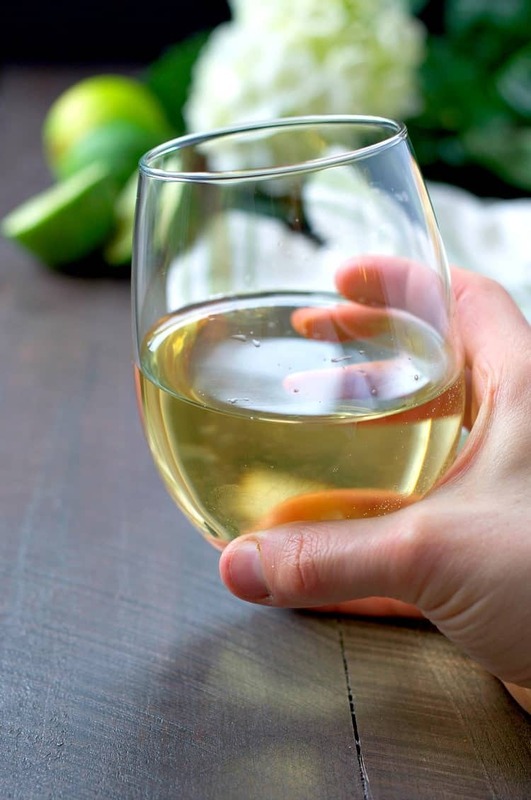 Whether it’s mid-afternoon while your little ones are napping, or later in the evening when they’re all tucked in bed, taking a chance to sit down with a friend, with your spouse, or just with a good book and a glass of wine can work wonders when it comes to resting, recharging, and maintaining a positive outlook. Today I’m excited to take the focus OFF of the family and kids for just a few minutes! Instead of creating an easy family-friendly dinner or a craft to entertain your kids, I’m sharing a quick 2-minute recipe that is just for YOU! Because when we sit down with a glass of wine (or your chosen beverage of choice), snacks are always mandatory, right?! 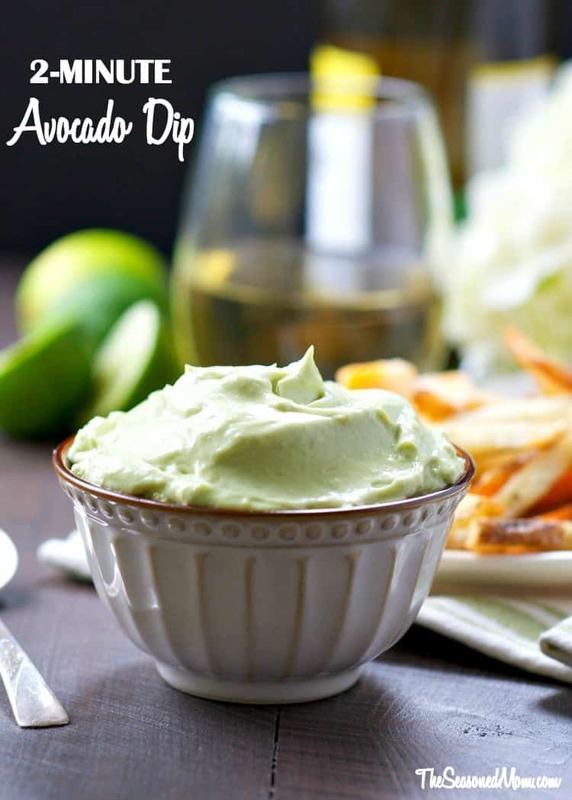 This light, creamy, and flavorful Avocado Dip is just the answer to your “Happy Hour” needs. I actually received the recipe from my own mom, who came across it when she was recently cleaning out her kitchen in anticipation of an upcoming move. 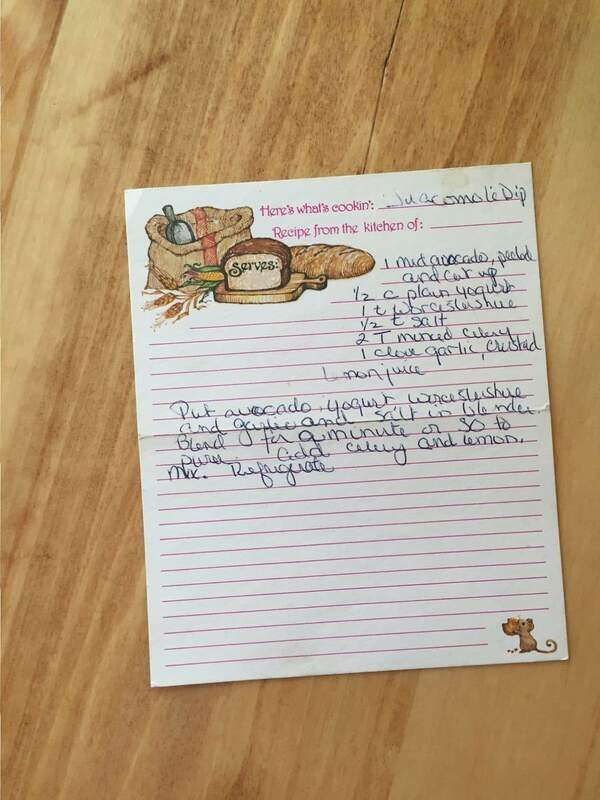 The recipe is written in my mom’s best friend’s handwriting — I would recognize it anywhere! Nostalgic, family-favorites like dip are always the best! I just love the thought of my mom and her friend Joyce exchanging the recipe (about 30 years ago) — probably after they sipped on a glass of wine, snacked on some dip, and supervised their children on a playdate! Now I’m passing it forward in honor of my mom, my second mom Joyce, and all of the other hardworking Mammas out there! Don’t you just love the old-fashioned recipe card?! It comes together in a matter of minutes, so you don’t have to spend your precious “me time” slaving away in the kitchen. 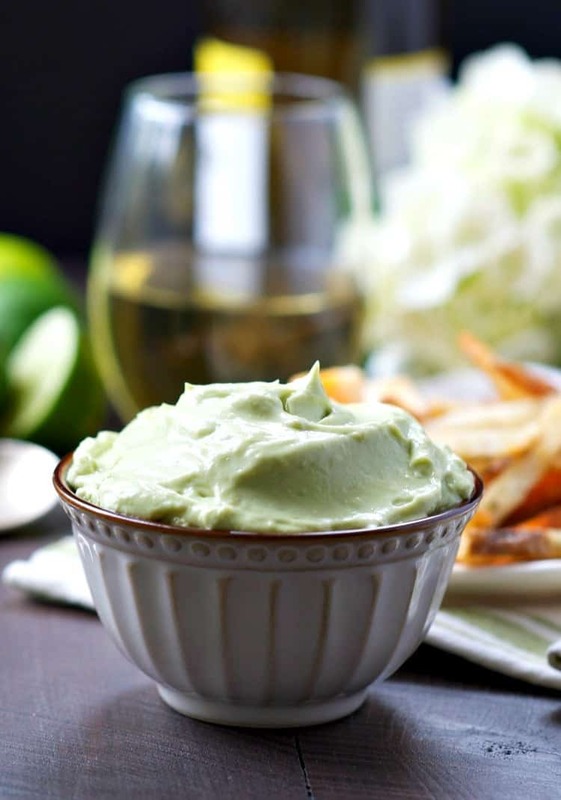 Just whiz a few ingredients together in a blender and you have a dreamy dip that’s just begging to be paired with some crispy, all-natural french fries! 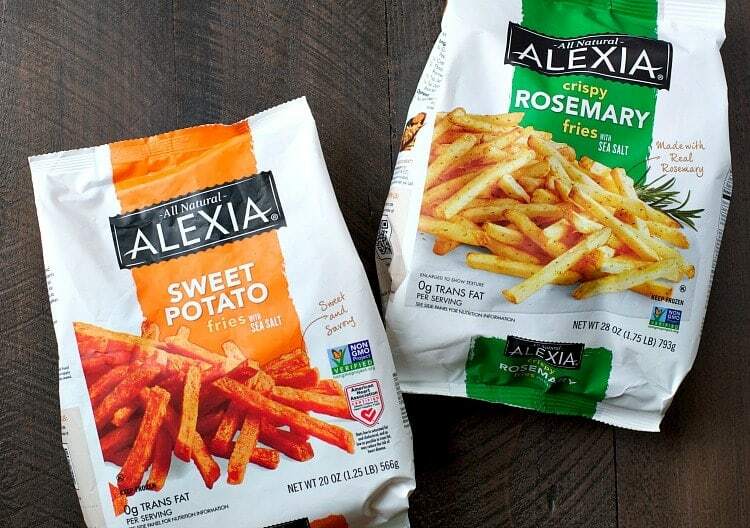 If you’re a regular blog reader, then you know that our family’s love for Alexia Foods runs deep. 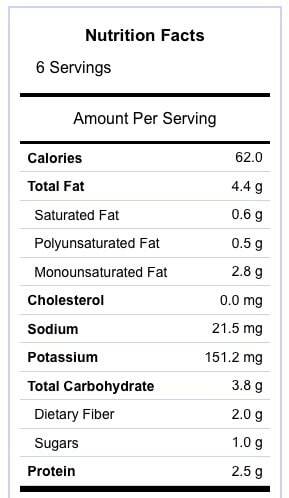 My kids can’t get enough of the microwaveable frozen peas, corn, and mixed vegetables…0r the potato “puffs,” or the House Cut Fries with Sea Salt…the list goes on! As a mom, I appreciate that Alexia offers convenient, easily-accessible side dishes that require minimal effort on my part without compromising taste or quality. The products utilize real ingredients in distinctive, creatively crafted ways — and it shows in the taste! Since today’s focus is on what I love, I selected two of my favorite french fries to share with you. 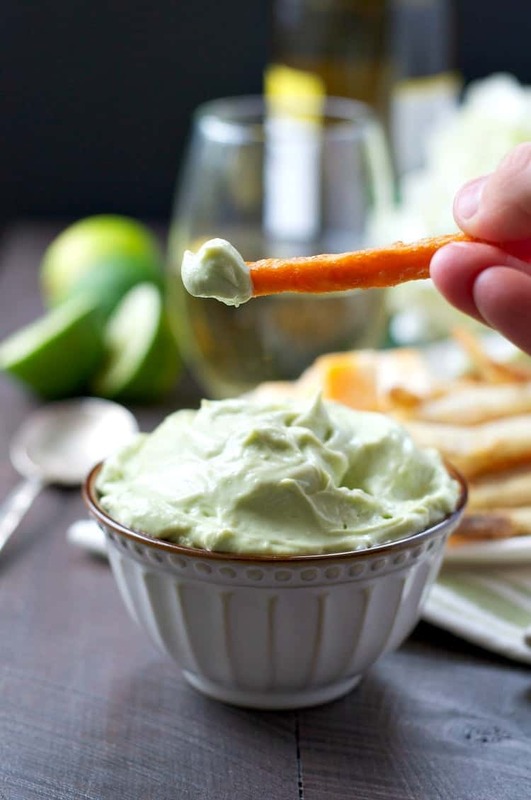 Again, when served with a glass of wine, a little bit of cheese, and some creamy avocado dip, you will forget all of your parenting concerns and happily escape into snack time bliss — at least for a few minutes! Place all ingredients into a blender or food processor and puree for about 1 minute, or until completely smooth. This post is sponsored by Alexia Foods. As always, all content and opinions are 100% my own. Thanks for supporting the brands that make The Seasoned Mom possible! This looks like the perfect way to relax after a long day. I love your easy avocado dip, Blair! I think I could eat this just about every day, especially when wine is involved! 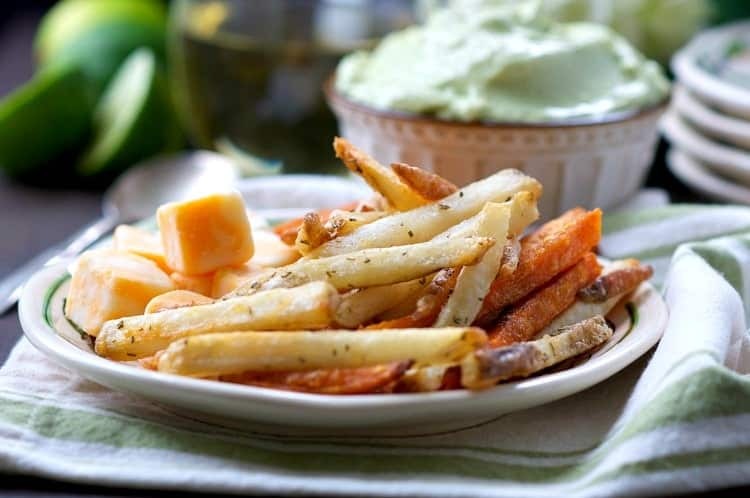 creamy avo dip with sweet tater fries? Im SWOONING! Thanks, Bethany! It’s definitely an awesome combo! Definitely trying this avocados sitting on top the frig. Meatball pasta your recipe for Friday plus this as the appetizer just need to get the fries. Made this last night it was so delish, thanks, will be making again we loved it!!! I hardly ever make dips, but this avocado one looks and sounds amazing so I’ll have to give it a try! Girlfriend, give me all the avocado dip! It sounds phenomenal! !